Did you know that each month ASI hosts a legal aid to give free one-on-one information to students? Did you know that their is a collection of students that work year round to advocate for student rights and access to a quality education? Did you also know, ASI runs the on-campus Food Pantry for students in need? The truth is, you might have known these things, but you might not have. There are many things that ASI offers students on campus that you may not have known even existed, but have the opportunity to utilize every day. Associated Students Incorportated, or ASI for short, is a 501c3 non-profit corporation. “501c3” is a fancy financial classification that puts the organization into a non-profit category according to its size. ASI is run for students and by students. Each student at Sacramento State pays $66 into ASI every semester in order to run the various programs and services that it hosts such as the ASI Aquatic Center, Safe Rides, Peak Adventures, KSSU radio, the on-campus Food Pantry, ASI Children’s Center, and many more. Not only do they run programs and services that any and all students can utilize, but ASI also hosts events to bring the campus community together. Last month, ASI hosted its annual Block Party where students could interact with on-campus resources, play games, win prizes, eat food, and enjoy great music. All students are invited and encouraged to take advantage of events and resources ASI provides to add to their quality of life during their college career. Not only are these ASI programs and services your resources, but there are ASI reps that are resources as well. At the heart of this organization is student representation on the ASI Board of Directors. The board is comprised of students and on-campus representatives and advisors that make decisions in order to help drive the campus community forward and be a voice for students. The structure of the board is fairly standard. There are 8 students elected by their peers to represent a particular college/population on campus (ex. College of Arts & Letters, College of Business Admin, Graduate Studies etc.). These individuals work closely with the Dean of their college, the clubs/organizations affiliated with the college, and their students in order to help make appropriate decisions on their behalf. Also on the board are 5 executive officers (President, Executive VP, VP of Finance, VP of University Affairs, VP of Academic Affairs). These executives work with the college directors on the board to move the organization and campus forward as a collective force. At any point in your career here at Sac State, if you need help scheduling classes, you want to start a club, you need a help from a student that understands your needs, or you simply want to get involved, reach out to a board member! These students are here for you. Each week they host office hours in the union and around campus specifically to be there for you to access. They go to committee meetings, they go to club meetings, events, fundraisers, rallies, all to better serve students. Be sure to reach out to them, they are there for you. In order for you to get a better idea of the wide breath of programs, services, and resources ASI provides to Sac State students, stay tuned each week to learn more about what ASI is really about and the people that work so hard to better the lives of students. If you are interested in getting involved in ASI or have any questions, check out the ASI website at http://www.asi.csus.edu or contact me at asibusdirector@csus.edu for more information. So You Say it’s your Birthday! ?- An Ode to KSSU! Some things get better with age they say. A good juice box, fancy cheese, great humor and a bunch of other things. But there is one thing that is the best of these all. Yes, you guessed it- its KSSU. This year we are celebrating the 25th Anniversary of our beloved Sac State Student Run Radio. Like all things aged, KSSU is the best. With all the things going on at Sac State, KSSU is a special oddity that our school cherishes and holds to a high standard. I say oddity to highlight the nonconformist, eccentric and rare-bird aspect of our misfit organization we adore so much. KSSU is the white peacock of the bird world. We are a rare and beautiful thing that is very precious to the radio world. So with the 25th Anniversary coming right around the corner, all that can be said is a good ole happy birthday KSSU and keep on rocking! Our small family has some great things to offer to Sac State students. We offer them awesome entertainment but we also offer them so much more. We give students a chance to be able to let themselves free. Free from the monotony of your average day, free to play the music you like, free to speak your mind. Since being part of this place, I have felt a sense of relief and an almost therapeutic escape from my boring everyday life. I have gotten a sense of belonging when I am in the station and can play the music I want to play, tell the stories I want to tell and can say the jokes that I want to tell. This goofy place gives me that ability and I am very thankful for the day that KSSU walked into my life. To sum up what KSSU is- it is a crazy, wacky, hilarious, spectacular, rare-bird of a place family that offers so much and gives more. You are better than an aged fine wine and way better that any aged cheese. Thank you KSSU and we salute you. Happy birthday, ya old man! This is whole thing is an amalgamation by the way ( a small ode to you, Cole). KSSU listen to us, and stuff. May I begin by saying it is an absolute honor to finally become a radio DJ. Ever since I was a kid, I grew up listening to the radio, usually during long road trips with my parents. I wanted to be the person behind those airwaves to orchestrate a well balanced musical journey. Music is what makes people come together, as cliche as that sounds. Every store you enter has music; every night club and bar is nothing without that rhythm. I wanted to release that same energy through the airwaves and have fun doing it. I love being behind the scenes, which is why my major is Film Studies. 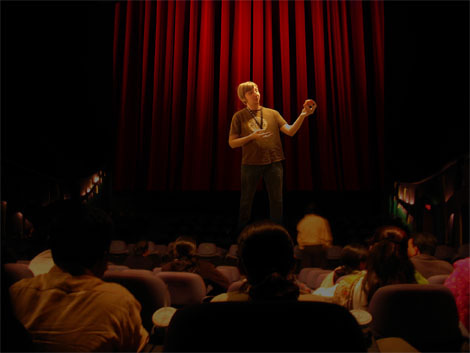 I am currently working towards becoming a film editor. Just like radio, movies have been with me through my entire life. 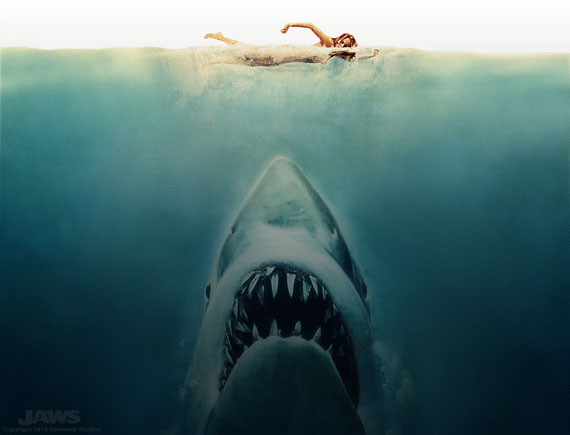 Jaws happens to be my favorite movie, which is why I named myself DJ JAWS. And if you ever meet me in person, you could tell it would be my favorite movie based on my entire right arm. An (almost) complete tattoo sleeve of the great Spielberg movie. Most of my taste in movies and music have a wide variety, which I find is common for most people. Some days I like the slow, melodramatic taste, while other days I like the upbeat tempo. My family has given me this variety which I am every thankful for. From Slipknot to Led Zeppelin to Frank Sinatra, my collection is always entertaining and has something good for everyone. This variety and also my desire to try and please everyone with different entertainment is a good reason to listen to my show. My show adds that diversification by being surrounded by different flavors of music. Some weeks I will play oldies and classic rock, and other times I will play old school hip-hop. I hope to add a certain mood that listeners can appreciate. I also work at Dimple Records and every time I mention this, I always get the same reaction which is, “Oh my God I LOVE Dimple Records!” We are even recognized by random customers at gas stations and shops, shouting at us that they love us and our store. This is never a bad thing and we take pride in our customer service. I can honestly say that working at Dimple Records has been my favorite job. Myself and another old co-worker actually got the Dimple logo tattooed on ourselves. That my seem extreme to get a job tattooed on you, but to get to work at a job you love everyday and discover new music and movies is an experience many should have. In the very deepest depths of the ocean, there are fish that live and die without ever seeing or sensing the sun. If they stray away from the ocean floor and swim towards the surface, they combust—perishing almost instantly. It is not the external pressure that destroys them, but its absences. In life, stepping beyond comfort zones and personal limitations in a gradual way is a key component in living a life of purpose and fulfillment. That is why I’m a radio show host at KSSU. It is the essence of exploration and passion. It is what you make it. KSSU is an opportunity. It’s a safe zone to test your own personal boundaries at the pace you determine. Whether it’s challenging yourself by starting a new weekly segment or reaching out to local bands for a live interview, the opportunities are endless. It’s the one place where failure ceases to exist. To many people, college radio means very little, and to few people, college radio means freedom. Those who haven’t experienced it can’t see what’s below the surface. So let’s talk about it. What’s the deal with college radio? For starters, college radio is a direct link to community engagement. Not only does KSSU feed the airways with campus PSA’s, but it is a bridge for community partners to reach our students as well. Nearby events, public information, or even some hardy food for thought from off-campus entities would no longer have a home if there wasn’t a college station to be the voice. Local bands gain a decent amount of traction with college students simply because students turn to college radio to hear something different, something they haven’t heard yet. It’s a lose lose without our stations. This day in age, many students don’t have access to college radio. They don’t think about it, it’s not important to them. Where else are you going to hear all these innovative tracks and up and coming artists? The mainstream stations? Probably not. You’ll hear the same recycled tracks on any given station and think, “Why should I bother with radio especially when I have my ipod or Pandora? Why should I listen to someone else choose what I listen to if I already know what I like?” Those stations play McDonald’s music. It’s produced to taste good, or in this case, sound good even though it’s full of unnatural fillers with no redeeming qualities, but college radio is different. You hear local talent. If you just listen to Spotify and Pandora you’ll hear well known artists, but you won’t hear from the 200+ artists that are stacked on our walls or that are driving up and down our local streets. You won’t even know what you’ll be missing out on, therefore, our station exposes artists to an audience they don’t have access to. This is what makes college radio authentic and personal. Also, college radio is, in itself, a home. 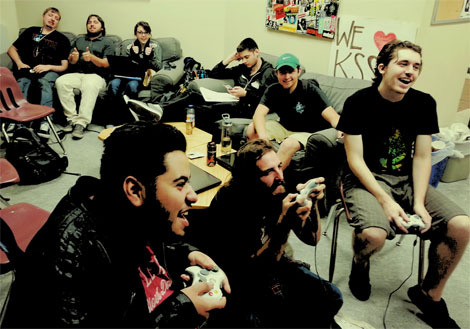 For the students that don’t identify with one specific club or are interested in something unique and different, KSSU is where they can express all of their interests. Sure there are organizations that I am involved with on campus other than our student run radio, but there’s no place else that is truly comparable. I’m able to be completely and utterly myself when I’m running in and out of the station. Sometimes I feel as though I don’t belong anywhere else simply because that’s the only place I can be whoever I want to be, and I’m sure the other volunteer DJ’s can agree to some level. Whether we’re playing Smash Bros. or Magic the Gathering or even discussing different music selections, we are engaging in something you won’t always find in one place or with anyone else. We’re all a bunch of misfits really, and I wouldn’t want it any other way. College radio is so ridiculously important. I could write a novel about it (believe me). It challenges one to go outside of their comfort zone and into a realm of misfit toys. College radio is a beautiful thing. 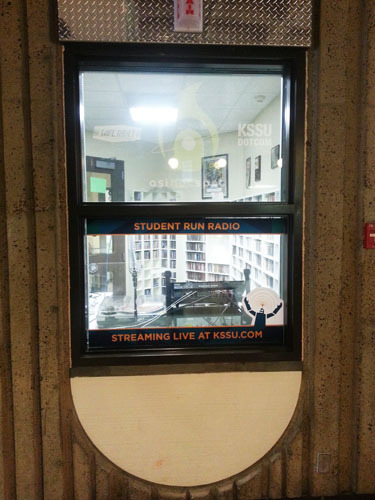 KSSU – Sacramento State’s very own student run radio station. What I have learned and experienced from my time here has truly been amazing, and I wanted to take this time to talk a little about my time here at KSSU. I am not sure what exactly made me apply to be a DJ in the first place, however I am sure it had to do with my love of music and people. This seemed like sort of a perfect fit for me to share my passion and enthusiasm for music with all of you. I was also drawn to the station because I had initially done some research on KSSU before applying and it looked like an amazing group of people who enjoy working together, as well as being a part of the Sacramento State community. I was a bit intimidated as well, however, given this impressive work record and prestigious place in college radio. Nonetheless, I decided to apply and see what happened. So I did, and here I am. The process was rather straight forward, and I have no complaints. I think that the hiring process (if it can be called that for unpaid folks like me) was as easy and logical as it could be, and from the moment that I set foot in the KSSU offices, I was made to feel right at home. But then came the first day. That day when you realize that you actually have to fill an hour with content and think to yourself, dear god, what have I gotten myself into! But after the first few shows, I began to find my groove. I started to experiment with what music I played, what order I played PSA’s and talked, or even changing up the ratio of talking to music for a particular show. I am still not one hundred percent confidant about my show, but I certainly have come a long way from that first day when I timidly entered the studio with a USB drive of some music and a vague idea of what it was I wanted to accomplish. I think, perhaps, that the point of KSSU is exactly that. The ability to find your own voice and to pave your own path. The very anxiety of that first show transitioned into the competence of my shows now. There is still a ways to go, for me at least. Twelve shows is hardly time to find my footing proper. I do hope to continue my show over the summer, but we’ll see. Since I am a graduating senior, this may just be goodbye. I hope that this goodbye will not be an end. 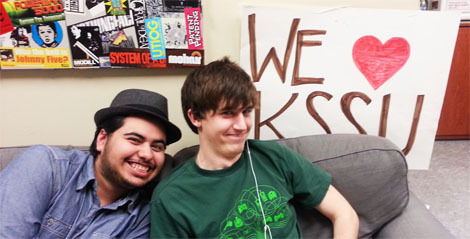 While I may no longer be on the air Tuesday afternoons, KSSU will most definitely continue to broadcast from the tiny studio in the University Union of Sacramento State. Brave new DJ’s will take my place, build up their own shows and audiences, and share their message with the world. That is, I think, the greatest thing about KSSU. The ability for us as students to share our voice with whoever will listen, and to shape the very future of a little internet radio station known as KSSU.